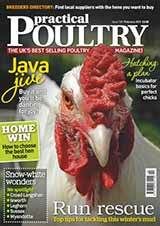 There are a number of poultry magazines available in the UK for the hobby poultry keeper. Each caters for slightly different people and needs. 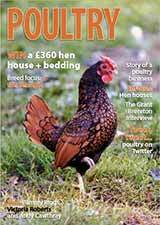 Below you will find a list of all the poultry magazines I know of in the UK with some information about each one. I have created a separate page with a selection of my favourite books covering various aspects of keeping poultry here. Full of tips, specialist advice from experts and real life stories from readers, news, monthly guides, competitions and readers pictures. Your Chickens magazine is my recommendation for people who are starting to keep, or would like to keep chickens in their back garden. Probably the UK’s best-selling chicken magazine, catering for hobbyist chicken keepers at all levels. 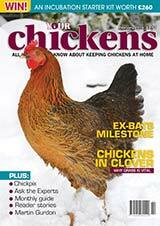 With informative articles and features on a plethora of chicken keeping subjects, it has the hobby well covered. Subscriptions are for 13 editions and there is also a cheaper digital edition. 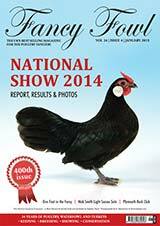 If showing poultry interests you, then Fancy Fowl should be at the top of your list! Covering showing, keeping, conservation of poultry and waterfowl, including in-depth articles on breeding to standard with tips from some of the top fanciers in the hobby. Ideal for people wanting to take the hobby more seriously. Available only by subscription. If you have an interest in self-sufficiency and ‘the good life’, then Country Smallholding may be the magazine for you. A separate magazine included called ‘Poultry’ (shown left) is packed with advice on keeping chickens, breeds, shows and poultry related products. 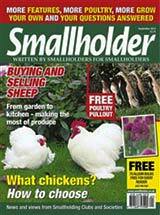 The must have magazine if you’re interested in Smallholding! Ideally suited to people keeping more than just poultry at home. 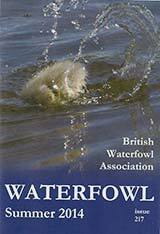 Published three times a year for members of the British Waterfowl Association. It offers advice, information and exchange of views. Through the magazine, there are opportunities to attend national, regional and local events which I can highly recommend. So if you’re wondering what I subscribe to myself? Fancy Fowl and Waterfowl Magazine. I pick up a copy of Country Smallholding when I go to the shops from time to time. Have we missed any UK magazines? Please leave a comment below if I have. What magazines do you subscribe to and what do you think of them? I’d love to know.